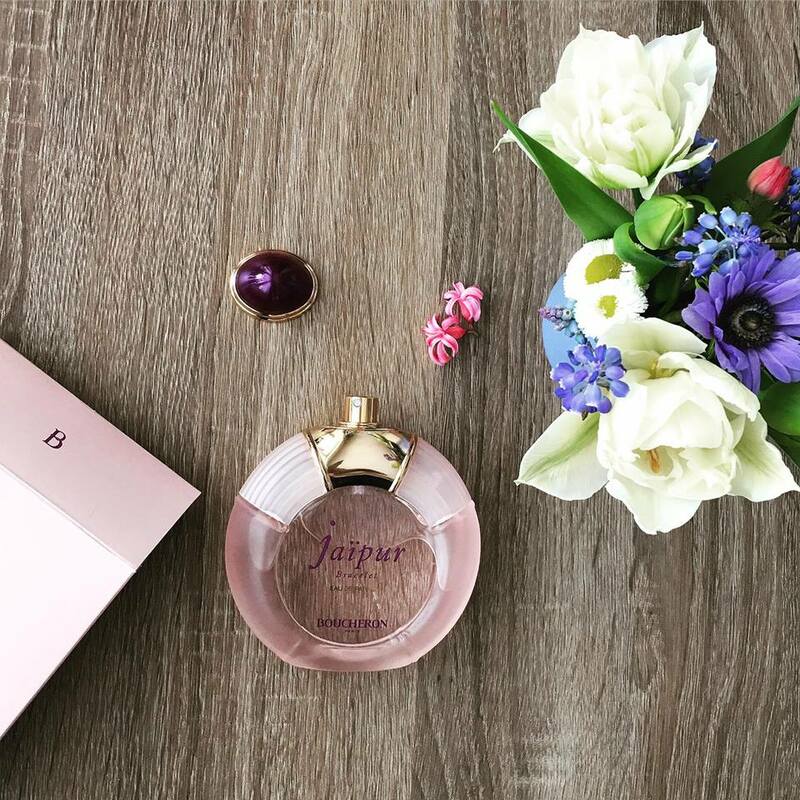 Jaïpur Bracelet by Boucheron is a floral fragrance for women, launched in 2012. Jaïpur Bracelet’s bottle is a "reworked" version of the bottle for the original Boucheron Jaïpur. Jaïpur Bracelet was developed by perfumer Carlos Benaïm, a master perfumer and it includes notes of bigarade, petitgrain, violet leaf, verbena, basil, hyacinth, carnation, lily of the valley, cypress, Cashmeran and iris. Jaïpur Bracelet was a blind buy, I had no sample and I had never smelled this fragrance before I bought it. I was reading about it in a magazine and I decided to give it a try because I could not stop thinking about it. I absolutely love it ! To me this fragrance smells liken the sun mixed with spring flowers, all infused in fresh river water. 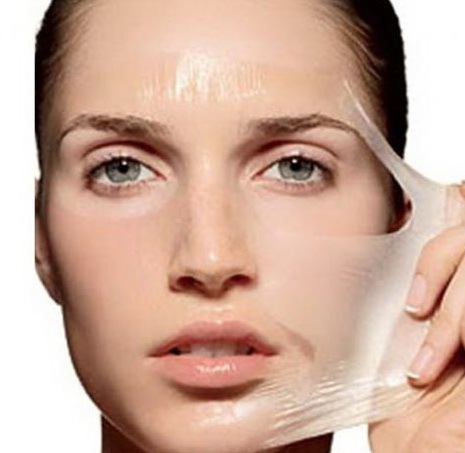 Can we shrink large pores ? Did you know that on everyone's face there is an average of 300,000 pores, most of which aren't noticeable to the naked eye?! Sounds a little bit too much don't you think ? Pores are tiny places on the surface of the skin that serve as outlets for oil and sweat. The pores on the face tend to be the most noticeable and the most prone to clogs and other problems. Today I will let you know which are the factors that determine the size of our pores and if we can can minimize them and improve the look of the skin. We all want soft, smooth pore- less skin don't we ? With constant exposure to pictures of airbrushed celebrities, it is hard not to get a little obsessive over pore size and there are certainly plenty of products out there promising to minimize or reduce large pores. If you're having large pores, your instinct might be to try to cover them up with cosmetics, or you may go the opposite route and think makeup is something to avoid. But if you pick the right products and follow a few tips, you can wear makeup without making your large pores worse -- and you just might be able to make them appear smaller. Let 's get ready for bronzed, glowing- summer skin ! 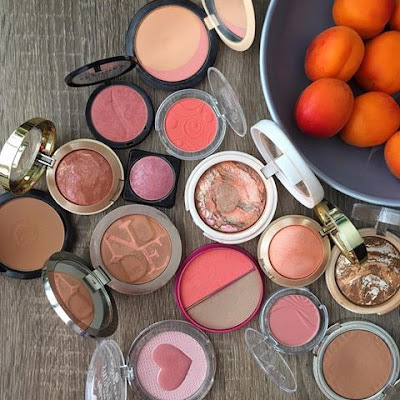 Today I had some free time on my hands to reorganize some of my makeup and I thought I should share with you some of my favorite blushes and bronzers. I picked some pinks, some corals, some peaches, some warm, sun kissed bronzers, some baked blushes, some matte ones, some shimmery - but all pretty and lovely. I tried to make a balance between drugstore and high end products, to give an option for every kind of budget.